Mexico's biggest cross-over star returns! 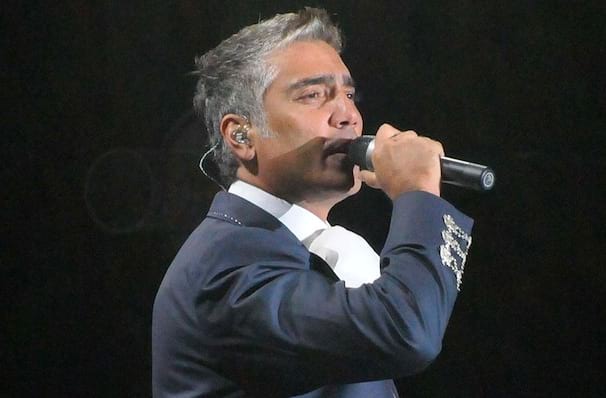 One of Mexico's biggest international superstars around the turn of the new century, Alejandro Fernandez aka El Potrillo (The Colt) had first established himself in the early '90s as a champion of ranchera music before crossing over to the Latin pop mainstream in 1997 with the chart-topping album Me Estoy Enamorando. His hit song, Hoy Tengo Ganas de Ti, was an instant success amongst soap opera fans and took a mere 17 days to be certified Platinum! 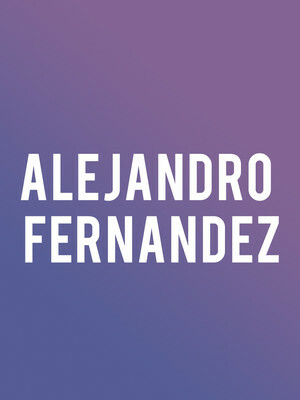 Fernandez has collaborated with various high profile Latin and mainstream artists including Marc Anthony (who he toured with in 2011), Christina Aguilera and even Rod Stewart, marking him as an artist to look out for across most genres. Sound good to you? Share this page on social media and let your friends know about Alejandro Fernandez at Pepsi Center. Please note: The term Pepsi Center and/or Alejandro Fernandez as well as all associated graphics, logos, and/or other trademarks, tradenames or copyrights are the property of the Pepsi Center and/or Alejandro Fernandez and are used herein for factual descriptive purposes only. We are in no way associated with or authorized by the Pepsi Center and/or Alejandro Fernandez and neither that entity nor any of its affiliates have licensed or endorsed us to sell tickets, goods and or services in conjunction with their events.